When it comes to Black Friday it's easy to get into the mind set of coupon cutting and bundling up to stand in line for hours. But I have a better idea for you. This year, why not take a chance on getting away rather than getting things for the sports fan in your life? Don't worry, even those who aren't the biggest sports enthusiasts can find something out of this deal. 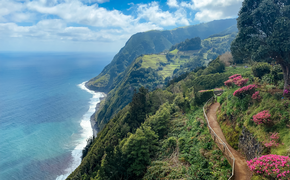 According to NBC News, now more than ever "hotels, cruise lines, airlines and tour companies are all now regular and enthusiastic participants in the Black Friday/Cyber Monday sales tradition, offering discounts, perks, bonuses and some offbeat travel deals." And it doesn't stop there. For the sports fan in our family (and there are plenty of them) Major League Baseball has a deal. The 2017 Opening Day is 127 days from Cyber Monday. For 127 minutes starting at 1:27 PM on November 28, the Hotel Commonwealth (the official hotel of the Boston Red Sox) will offer rates of $127 for stays between November 28, 2016 and April 3, 2017 (Opening Day). 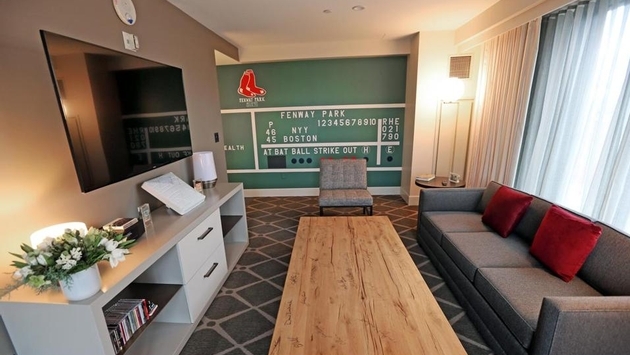 There's even a baseball fan's biggest dream suite equipped with #6 from the scoreboard, vintage baseball cards, and other Red Sox collectibles as part of a $55 million expansion. According to The Boston Globe, the new wing "adds 96 rooms and suites, 6,000 square feet of event space, including a 2,000-square-foot outdoor terrace, and 142 spaces for valet parking." Call (617) 933-5000 to make reservations and ask if this baseball haven is part of the deal. Not only is the hotel popular amongst Red Sox fans, but it was named one of Travel and Leisure's Top 500 Best Hotels in the World in 2015, and Best of Boston Weddings in 2015. The Hotel Commonwealth offers other packages for the not-so-sport inclined as well. Everything from a staycation package complete with a complimentary upgrade to a bed and breakfast with a 2:00 PM late checkout. You can make everyone in your family happy this holiday season with this fabulous hotel located off Commonwealth Avenue in Boston.